We all want to live well and stay in good health for as long as possible! Does this mean we just need to find the right balance? Give it the care and attention it deserves! Fibre occurs naturally in varying quantities in all vegetables and cereals. So we shouldn’t skimp on fibre in our daily diet! Our lifestyles have changed considerably, our habits have been altered and we don’t have enough fibre in our daily diet. But don’t worry! We just need to find additional sources of fibre to rebalance our diet and stay healthy. 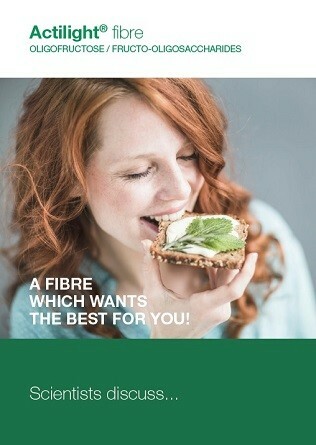 Actilight® Fibre is a fibre with extraordinary benefits that is found in many food products available in the supermarket. With firm roots in the regions in which it operates, Tereos is a cooperative group with strong ties to the agricultural world. Tereos represents 12,000 cooperative members and 24,000 employees around a shared vision: adding value to agricultural raw materials and offering high-quality food products. Tereos has proven expertise in processing sugar beet, sugar cane, cassava, potatoes and cereals. For 20 years, scientists have been taking a keen interest in Actilight® and its benefits for health. Complete the form below in order to download the documentation and to form your own opinion! « You have found oligofructose, fructooligosaccharides or FOS in the list of ingredients, and more generally fibre. But why are they added to certain foods? What is their purpose? How are they produced? What do scientists and nutritionists think? A question? Please don’t hesitate to contact us with the help of the form below. Sorry, this website is not adapted to this resolution. You can try the desktop version.